The first Salt Palace in Utah was built in 1899 but was destroyed by fire in 1910. An indoor arena with the same name was completed in 1969 and was home to several professional sports teams while hosting concerts and other events. 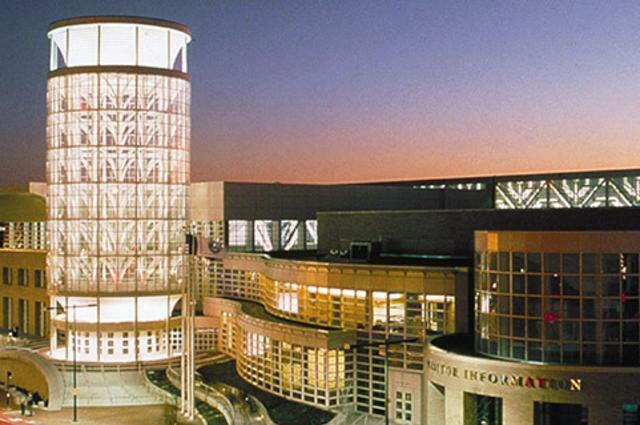 The arena was demolished, and a brand new convention center opened its doors in 1996. Major expansions in 2000 and 2005 increased the building’s size to nearly one million square feet. Adjoined to the facility are the Utah Museum of Contemporary Art and Abravanel Hall, home of the Utah Symphony. 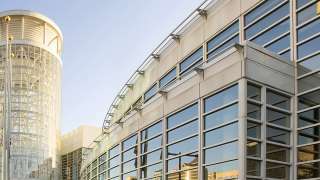 Many of the convention center&apos;s most striking visual features were obtained through the creative use of hollow structural steel in exposed applications. The entrance towers, delicate snowflake chandeliers, and grand five-story main concourse make the Salt Palace part architectural showpiece, part modern art sculpture, and ready to be all business. 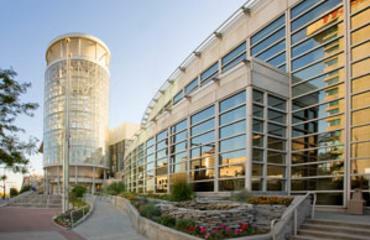 SMG manages the facility on behalf of Salt Lake County, owner of the building. SMG employees take pride in maintaining an attractive, safe, secure, technologically advanced, welcoming and well-run facility. We strive to exceed our clients&apos; expectations regardless of the size of the event. We embrace the idea that our purpose reaches beyond our doors and into the greater Salt Lake community. Our S.O.A.R. program personifies our values as an important part of the hospitality industry in Utah. 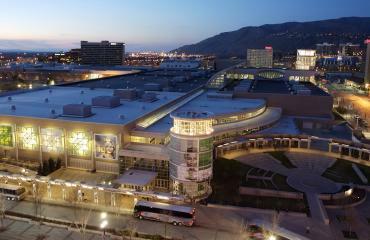 The convention facility also houses the Visit Salt Lake executive offices, the Visit Salt Lake Visitors&apos; Center, Simply Salt Lake gift shop and the SMG administrative offices. Our employees are dedicated to providing the highest level of service possible. The company provides on-going safety and customer service training sessions.